Initiated in 2002, this personal project is a multi-user web interface designed to handle, archive and print secondary school reports. 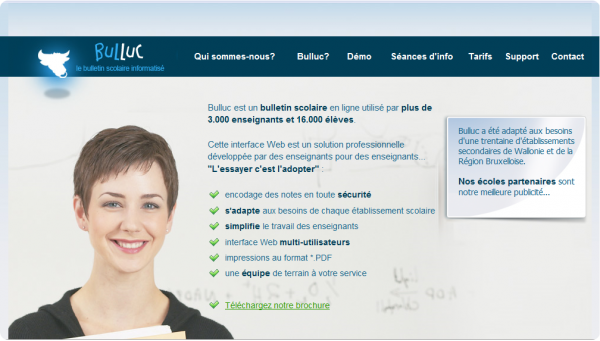 You’ll find more about it on http://www.bulletinscolaire.be. This project’s Web design has been performed by Nicolas Crombez.